April 7 - Oxford Preparatory School Fundraising Golf Tournament with a silent auction. Shotgun start at 1:00 P.M. Entry forms are avaiable at Kerr Lake Country Club or through Oxford Prep's website. Visit www.oxfordprep.org for more details. It will be a great event for a great cause! 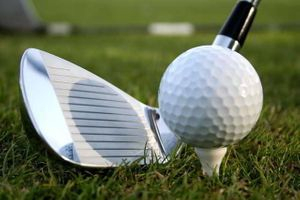 April 8 - Oxford Preparatory Middle School Golf match at 3:00 P.M. (The front nine will be closed for the match, however the back nine will remain open for play.) POSTPONED UNTIL TUESDAY, APRIL 9 @ 3:00 P.M.
April 8 - Kerr Lake Ladies Association meeting in the banquet hall at 7:00 P.M.
April 10 - Kerr Lake Country Club Board of Directors meeting in the banquet hall at 7:00 P.M.
April 12 - Kerr Lake Country Club Men's Club meeting at 7:00 P.M.
April 16 - WOVEN luncheon at Noon. Women of Vance Empowering Networking. Join us for lunch and guest speaker Holly Nix, massage therapist at Henderson Wellness Center speaking on "The Effectiveness of Massage Therapy". Call Sandra at the Chamber of Commerce office to reserve your seat. April 20 - KLCC Spring Clean and Fling Golf Outing - Volunteer clean up from 9:30 A.M. - 11:30 A.M. 2-person teams for golf with a shotgun start at Noon. Format is 6 holes best ball, 6 holes superball and 6 holes alternate shot. All ages are welcome to play. Entry forms are available at KLCC. For more detail, give us a call at 252-492-1895. April 25 - Henderson-Vance Crime Stoppers annual golf tournament. Entry forms are available at KLCC or contact our local Henderson-Vance Crime Stoppers organization for more information. April 27 - Mike Dawson Day at KLCC! (postponed from April 13) 4-person Superball tournament with a shotgun start at 10:00 A.M. All money raised will go directly to the grounds of Kerr Lake Country Club. Entry forms for the tournament are available at KLCC or email us for more information. April 29 - HAPPY BIRTHDAY TO US!! KERR LAKE COUNTRY CLUB IS 55 YEARS YOUNG. 55 AND CONTINUING TO THRIVE. Check our FaceBook page for events happening during the week. For all chamber members, Vance and Granville Counties, we will be hosting Business After Hours from 5:30 - 7:00 P.M. Stop by after work and enjoy some light refreshments while seeing and learning everything KLCC has to offer the community! May 6 - Middle School Conference Championship at 12:00 P.M.
May 7 - Mid-Carolina Conference Tournament at 10:00 A.M.
May 8 - KLCC Board of Directors meeting in the banquet hall at 7:00 P.M.
May 10 - KLCC Men's Club meeting at 7:00 P.M.
May 13 - Kerr Lake Ladies Club meeting in the banquet hall at 7:00 P.M.
May 31 - Angels Among Us Relay for Life Golf Tournament. Entry forms are available in the Pro Shop or by contacting Jeanette Brummitt or members of Angels Among Us Relay team. Feel free to contact us at anytime with questions or for more details. We look forward to seeing everyone at Kerr Lake Country Club! © 2019 Kerr Lake Country Club. All Rights Reserved.